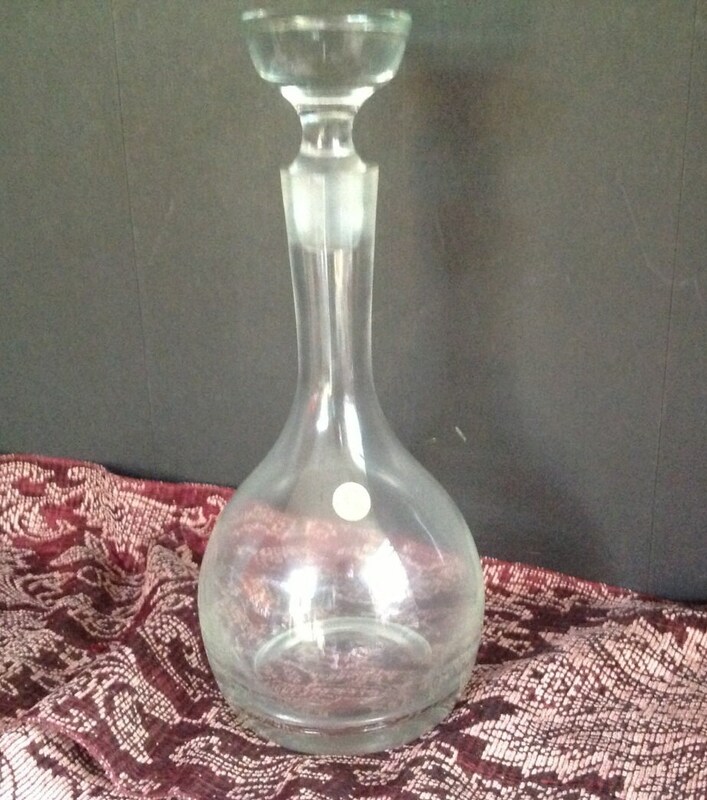 vintage blown class European liquor decanter "Made in Rumania"
Offered is a vintage liquor decanter. 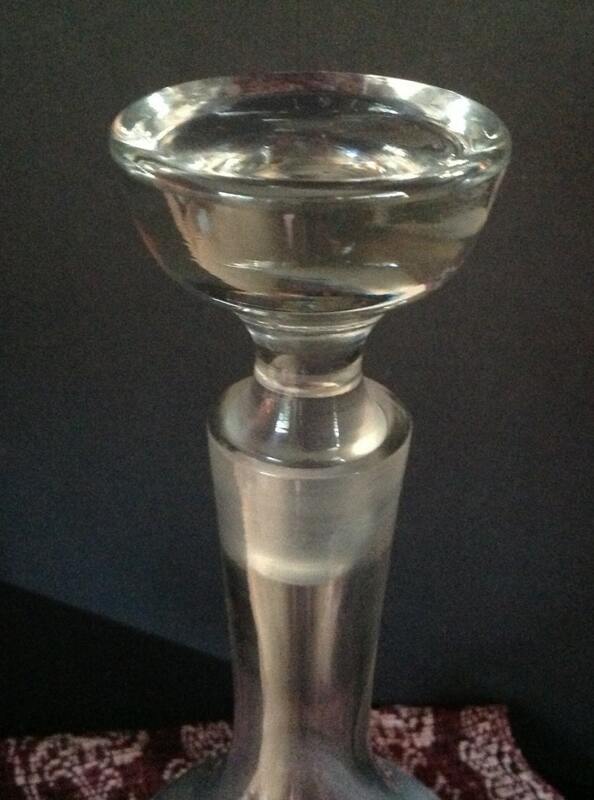 A few tiny bubbles tell us it is made of blown glass. 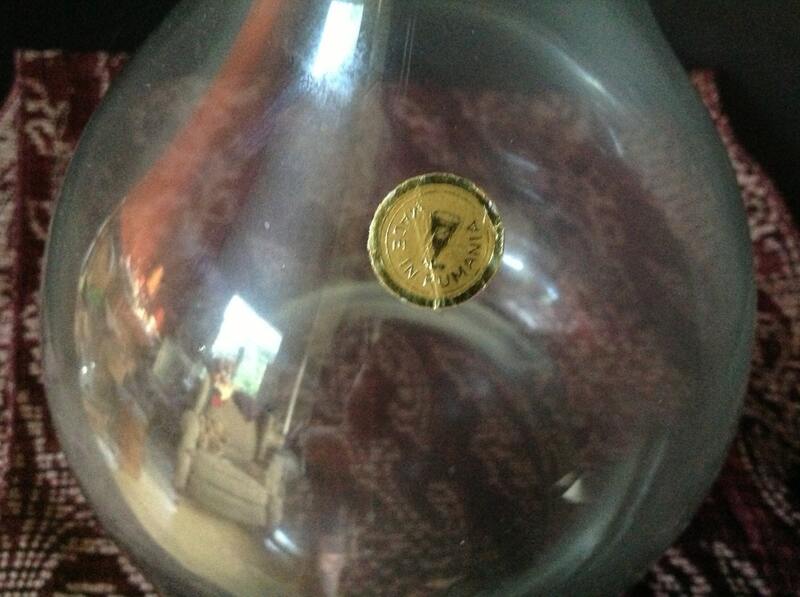 A gold label is marked "MADE IN RUMANIA". The design is simple yet sleek. 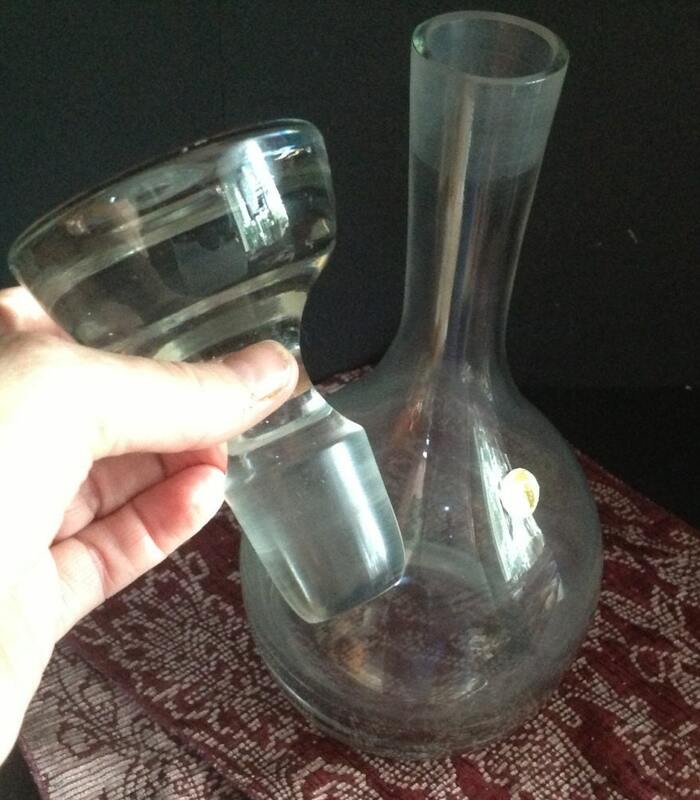 The stopper is a good heavy piece. Beautiful at your bar. I can combine shipping. My shipping quotes are on the high end to cover the western US, but I reimburse for shipping overages of $1.00 or more. I recycle packing materials and pack very carefully.